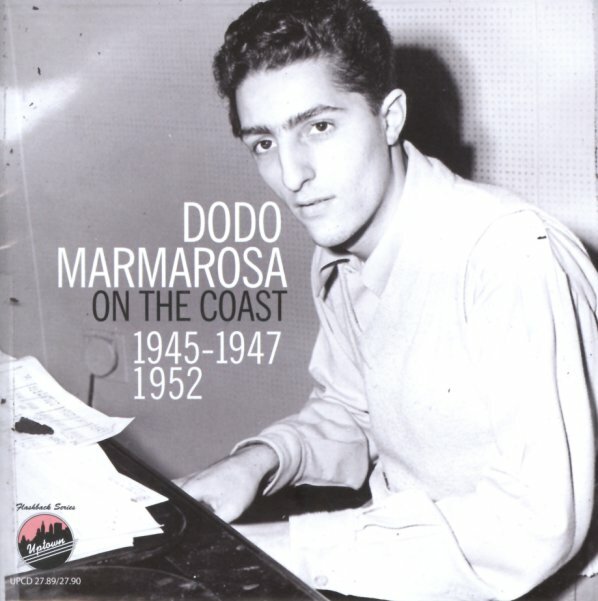 Many great slices of work from the early years of pianist Dodo Marmarosa – actually the only years that had Dodo really shining in the limelight – as he made only a handful of rare recordings between 1953 and 1961! Yet these sides are equally rare – as the set brings together obscure 78rpm singles, sometimes with Dodo as the leader, sometimes working with other groups – and also includes a fair bit of rare broadcast material too, really tracing a great evolution of Marmarosa's style over a few short years! The package is overflowing with material – far more than for us to mention in just a few short notes – but we can tell you that it includes Atomic Records 78rpm releases under the name of the Dodo Marmarosa Quartet with Lucky Thompson on tenor, the Dodo Marmarosa Trio, Lyle Griffin & His Orchestra, and the Barney Kessel All Stars – plus Down Beat label 78s by the Lucky Thompson Quartet with Marmarosa on piano, Irra Records material by singer Miss Danna, and Encore Records work by Ray Linn & His Orchestra. There's also MacGregor transcription tracks by the Dodo Marmarosa Trio, Jubilee Transcriptions by the Just Jazz All Stars with Howard McGhee on trumpet, and radio broadcast material by Boyd Raeburn All-Stars, Viven Garry Trio, and Lucky Thompson Quartet – all featuring Marmarosa. The set mostly features mid-40s work – but ends with two long tracks recorded at the Lighthouse in 1952 – with Dodo in a group that also includes Shorty Rogers on trumpet, Jimmy Giuffre and Bob Cooper on tenors, and Milt Bernhart on trombone. © 1996-2019, Dusty Groove, Inc.